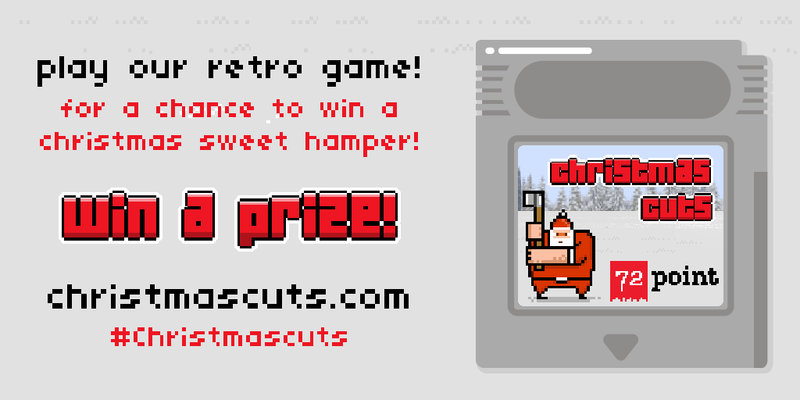 We designed a retro 8-bit style Christmas game for 72Point. 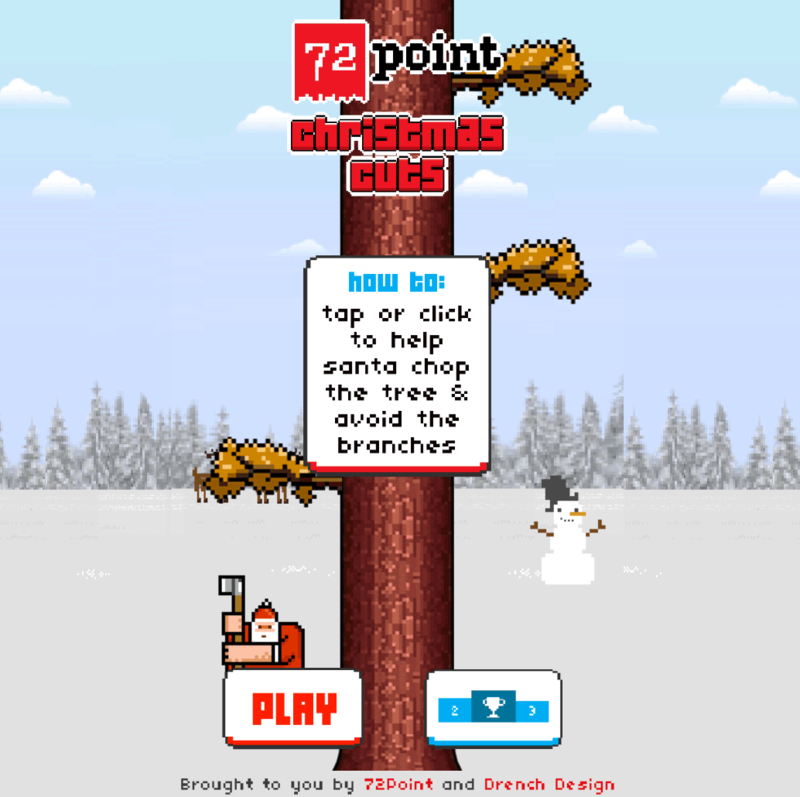 The game asked players to help Santa chop down his Christmas tree and avoid being hit by branches. Used as part of a promotional B2B campaign, 72Point invited people to compete for the highest scores, with the scoreboard tallying the scores of individuals and companies. Festive prizes were awarded for winners and runners-up at the end of the gaming period.